The top-down instruments for governing crime and disorder: what lessons can be drawn from the Italian experience (2007–2011)? Introduction The literature generally describes ‘incivilities’ as a deterioration of the shared rules of civil harmony, the violation of standards of care and maintenance of urban environments and shared public urban spaces (Wilson 1968), the neglect of the territory (Taylor 2002) or a series of anti-social behaviours (ASBs) or signs that bear witness to urban disorder (Skogan 1990). 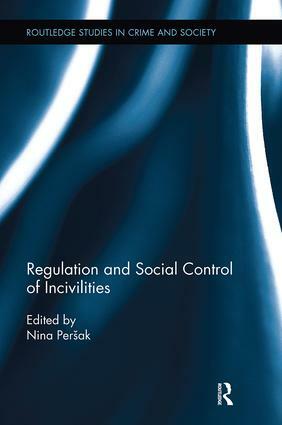 Nevertheless, as Di Ronco and Peršak (2014: 341) stated, defining incivilities is ‘very problematic’ and ‘controversial’. For what is defined as anti-social or uncivilised can change over time and in space, depending on both social and individual ‘aesthetic expectations’ (Millie 2008), and is often self-bestowed by majorities (Millie 2011). From time to time, then, the reference to the regulation and social control of incivilities may come under the label of policies fighting crime and micro-criminality, ‘soft crimes’ or ‘borderline criminalities’ (Molotch and McClain 2003), such as begging, youth gangs, windscreen washing, illegal street vending, prostitution, vandalism, improper use of public space, vagrancy, modest use of drugs and being drunk and disorderly. In Italy, the typical incivilities targeted by instruments for governing crime and disorder (such as security pacts and administrative orders) include consumption of alcoholic beverages, prostitution, vandalism, damage to property, serving of food and drink, dumping of rubbish, begging, noise, etc. (see more below).